Cream the butter, castor sugar and icing sugar together in a large mixing bowl. In a separate bowl, sift the cake flour and cornflour together. Add the dry ingredients to the butter mixture and mix to make a dough. Rest for 1 hour in the fridge before using. Preheat the oven to 170 °C. Grease and line two baking sheets. Lightly dust the work surface with cornflour and roll out the dough to about 5 mm thick. Cut out the bunny shapes. Place onto the prepared baking sheets and refrigerate for 15 minutes before baking – this will prevent shrinking and uneven browning of the biscuits. Decorate as desired once completely cool. Place the icing sugar in a large bowl and add two-thirds of the egg white. Using an electric mixer, beat at a low speed to incorporate the icing. Add more egg white as needed to get a firm, stiff peak consistency. The icing must be smooth and of a spreading consistency. Refrigerate in an airtight container for up to a month. 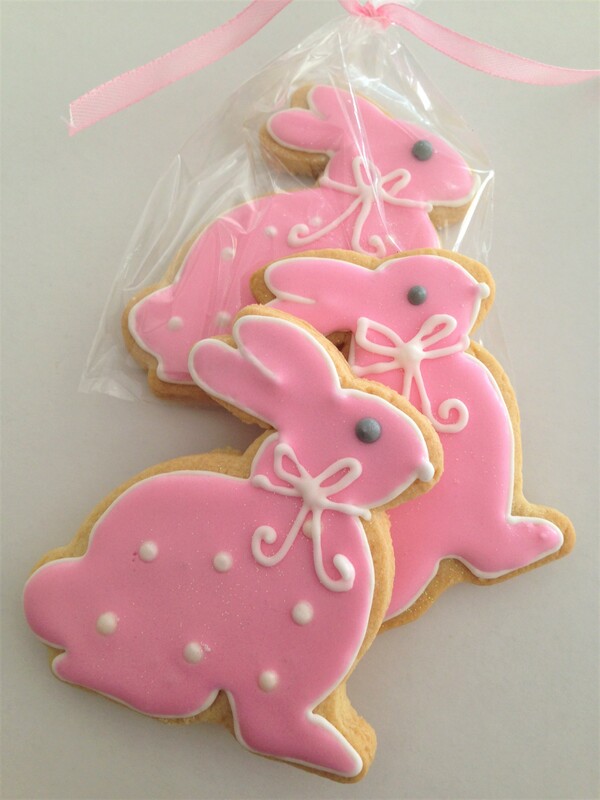 Pipe the outline and edges of the bunnies with the royal icing and wait for it to dry completely. You can make it any colour. To fill in the gaps, mix the royal icing with food colouring to get the colours you want and then thin down with a small amount of water to get a runny consistency. Fill squeeze bottles with the various colours and use the nozzles to flood the biscuits between the piped lines of royal icing. 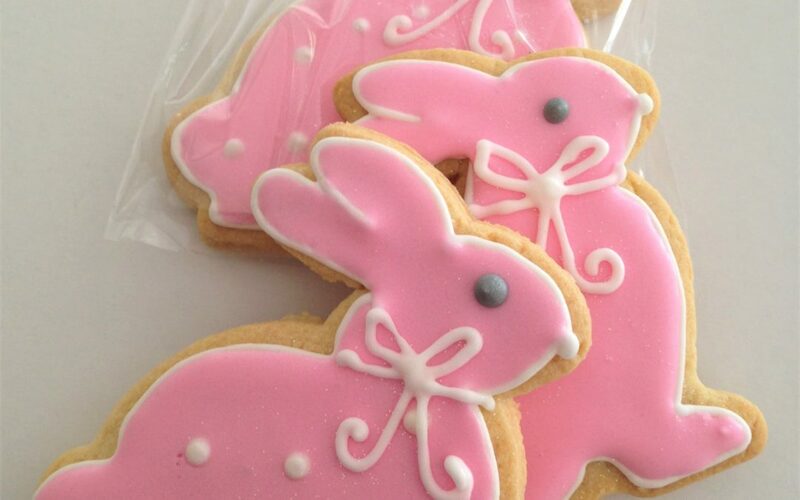 Use the royal icing to pipe detail on the bunnies once they are completely dry and the icing has set.